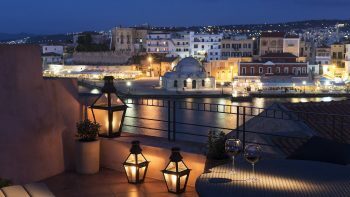 Travelers who fly with Aegean Airlines can now earn award miles and free nights because of a partnership with 6 hotels and resorts in Chania. A couple of years ago our whole team took a once-in-a-lifetime jaunt to the island of Crete. This year we head back to the land of the Minoans on a reconnaissance mission to scout the best places to live on the island. 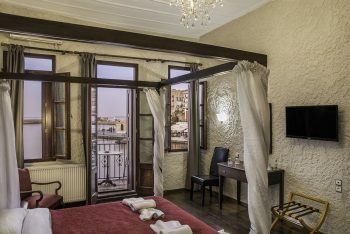 As part of Argo News’ ongoing efforts of discovery, here’s a look at what may be the perfect city stay in all Greece, Hotel Porto Antico in Chania’s old city. Crete’s second biggest city, is probably the most well know and picturesque. 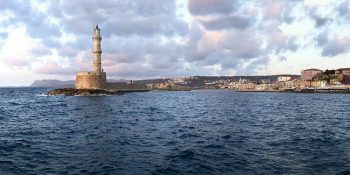 Chania, a Minoan settlement known to the Greeks as Kydonia, is famous for it’s Venetian Harbor photogenically. 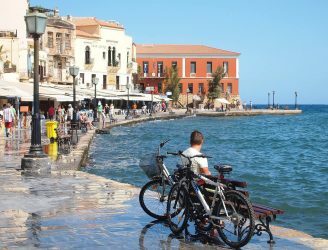 The capital of the provence of the same name, Chania is about as iconic a destination as you can imagine. 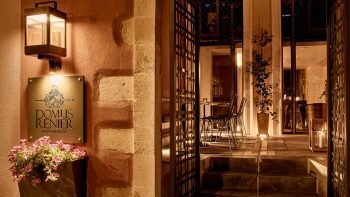 Surrounded by a host of smaller villages and immeasurable natural beauty, the west of Crete’s gem of tourism deserves every accolade. 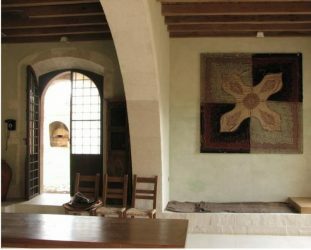 Here’s a bucket list of things any visitor “must see” before leaving this magical Cretan getaway. Holy Tomato, VeggieHotels, a site launched back in 2011, helps healthy vegetarians hook up with some 500-plus bed and breakfasts, hotels, spas and conference centers across 60 countries. Listing everything from five star Bali digs to bed and breakfast stays from Austin, Texas to Zanzibar (okay, maybe not that far), the VeggieHotels membership makes a lot of sense for those travelers so inclined. Getting the nod for covering the niche, VeggieHotels needs some more inventory.